[toc]Detoxification of body is an approach to clean the body of toxin substances that have accumulated in the body in due course of time. These toxins have adverse effect on the body like various skin ailments, ailments related to digestion and various other minor ailments of the body. Our body gets these toxin substances from additives in our foods, industrial chemicals, pollutants, pesticides, secondary smoke or heavy metals. Detoxification cleanses body internally. In a polluted environment, detoxification of the body becomes essential. Detoxification purifies blood, kidney and liver. It also enhances immune system. At home also, detoxification process can be carried out in a number of ways. 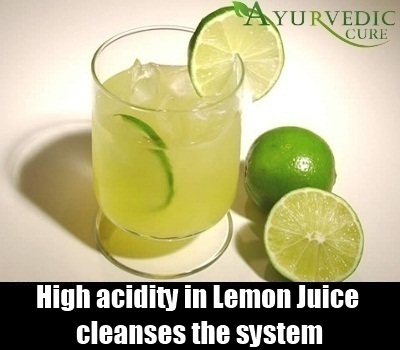 Lemon water is one of the best ways in which detoxification process can be carried out. Just add lemon to your drinking water for a whole day. Consume this water. For better results, warm water a little so that it turns lukewarm. Lemon is acidic in nature and has high pH. It acts on fat and breaks the complex molecules. The high acidity cleanses the system. Apple contains vitamin A and C. For 3-4 days, consume only apples. You can choose from varieties of apples available in the market. It would be better if you get organic apples. For a period of 3 days, consume apples. You can drink water also, but not immediately after consuming apples. 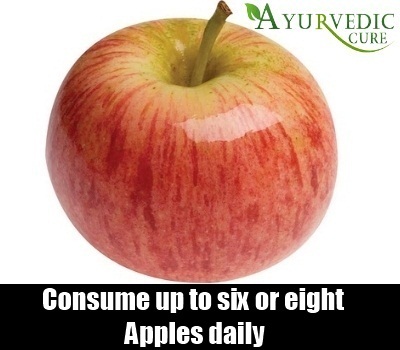 In a day, you can consume up to six or eight apples. It will clean the system internally. 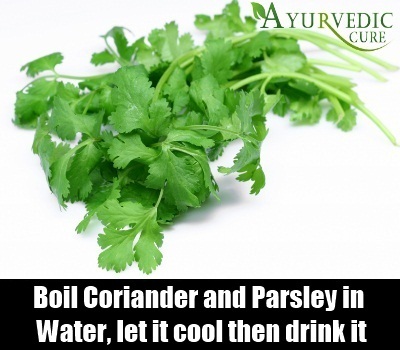 Coriander has the ability to eliminate toxins like mercury and aluminum from the body. Parsley acts as diuretic and hence hastens the process of urination, thus eliminating waste from the body. Apart from that, coriander is a good source of calcium, vitamin A, vitamin C, vitamin B6, dietary fiber and iron. Take big bunches each of fresh parsley and coriander. Clean them thoroughly and chop them. Now, take a pot and boil some 8-10 glasses of water in it. Once the water starts boiling, add chopped coriander and parsley into it. Remove from boiling after 10 minutes. Once it cools down, strain the liquid in a bottle. Refrigerate the liquid. Every morning have a glass of this liquid. You will find the difference within a week as the body starts its detoxification process and the waste gets eliminated through urination. You will feel healthier. A health drink detoxification is easy and can be conveniently carried out at home. Each day in the morning, prepare a glass of the said juice. Take a few twigs of each of coriander, mint and spinach. Wash them and chop them. Put the chopped leaves in a juicer. Now, add a carrot, half beet root and a cucumber to the juicer. Prepare a juice out of all the ingredients. Consume it in empty stomach every day. Your body will gradually expel out toxins. When you are trying to detox, ignore coffee or regular tea from your life. They contain caffeine that does not support easy detoxification. Opt for green tea. 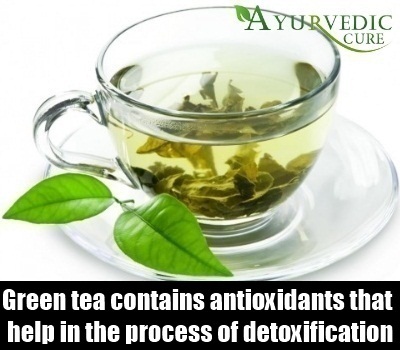 Green tea contains antioxidants that help in the process of detoxification. Have 2 cups of green tea daily. Sweating is a way of detoxification. Through sweating, waste is eliminated from the body. Sweating through exercise also keeps body fit and weight in control. Exercise regularly and hence prepare your body for a regular cleansing process. Exercise also helps in proper digestion and optimal blood circulation. Cabbage soup is prepared from cabbage, onions, tomatoes, green peppers, carrots, mushrooms and celery. 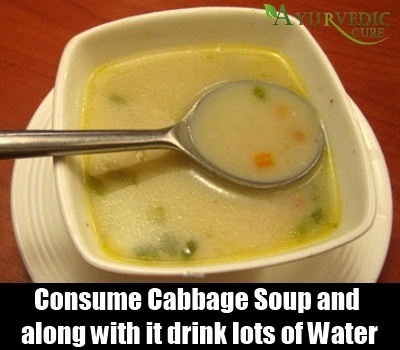 The soup can be prepared by boiling all the vegetables in water. You can retain the pieces of vegetables in the soup. For a span of seven days, you need to consume this soup. Along with this soup, drink a lot of water. Do not consume anything else. It is a detox diet. 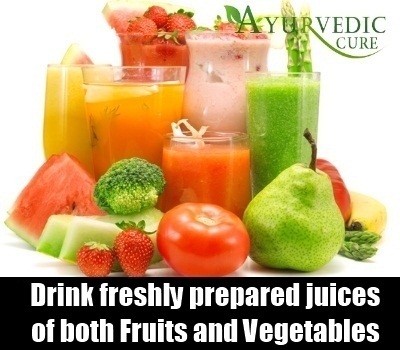 For detoxifying the body, drink a lot of freshly prepared juices of both fruits and vegetables. 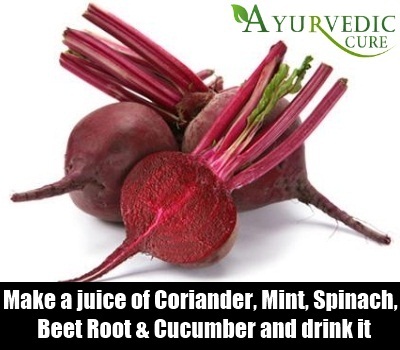 These juices help flush impurities from body. You can prepare a juice of any of these viz. carrots, spinach, coriander, wheat grass, grapefruits and blueberries. 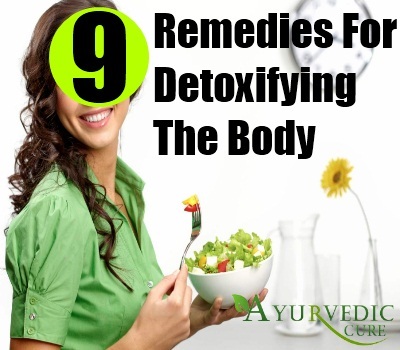 There are special yoga postures that are recommended for people who go for a detox diet. When you are in a detoxification routine, do not exert yourself by straining in a gym. You might run out of energy. If you are on an apple diet or a citrus diet, you are not gaining enough calories for strenuous exercise. So, it is advisable that during detoxification program, perform light exercises and go for yoga. Yoga will calm your mind and will help you develop concentration. Yoga will give you the motivation to carry yourself through the detoxification program.